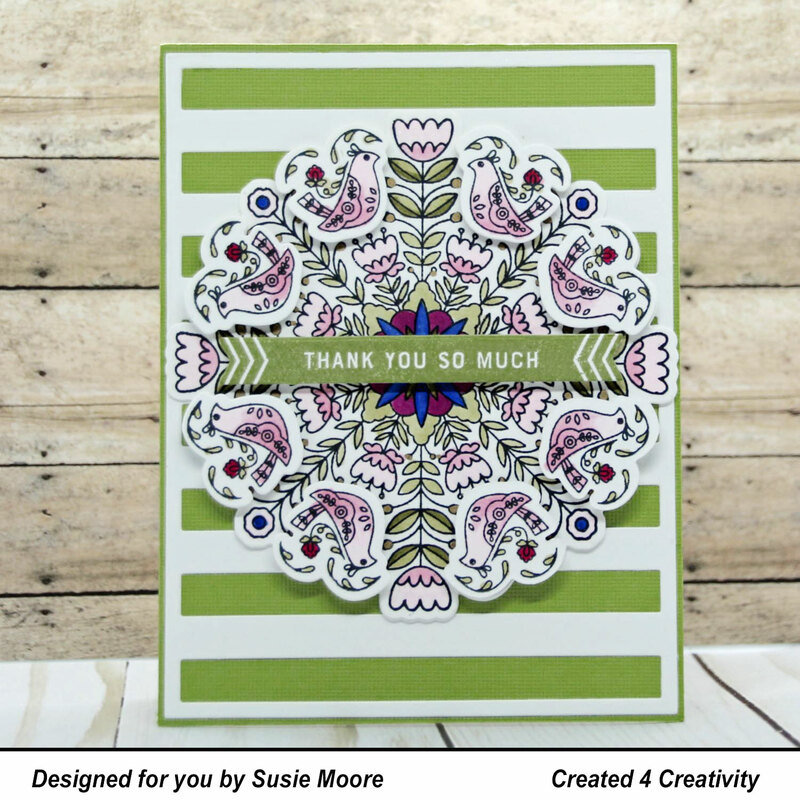 It's time again for the monthly challenge at Pinkfresh Studio. 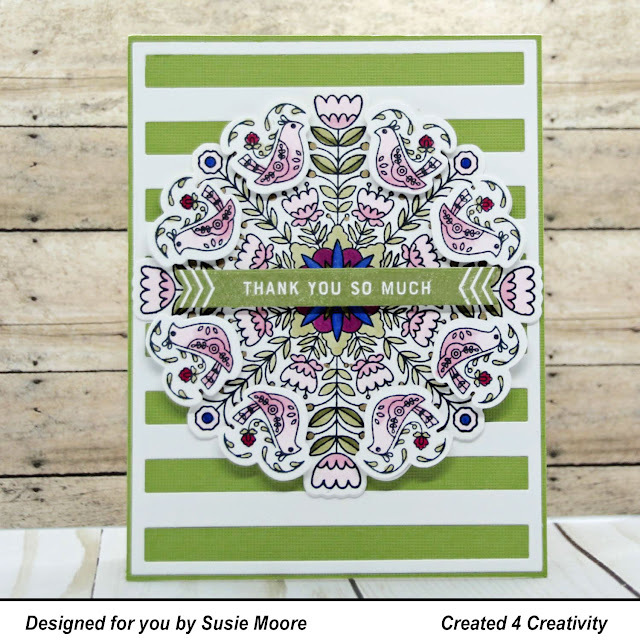 I used the Pinkfresh Studio Folk Mandala stamp and die set to make my card. There are many ways to use this set and I'll show you a few more soon.